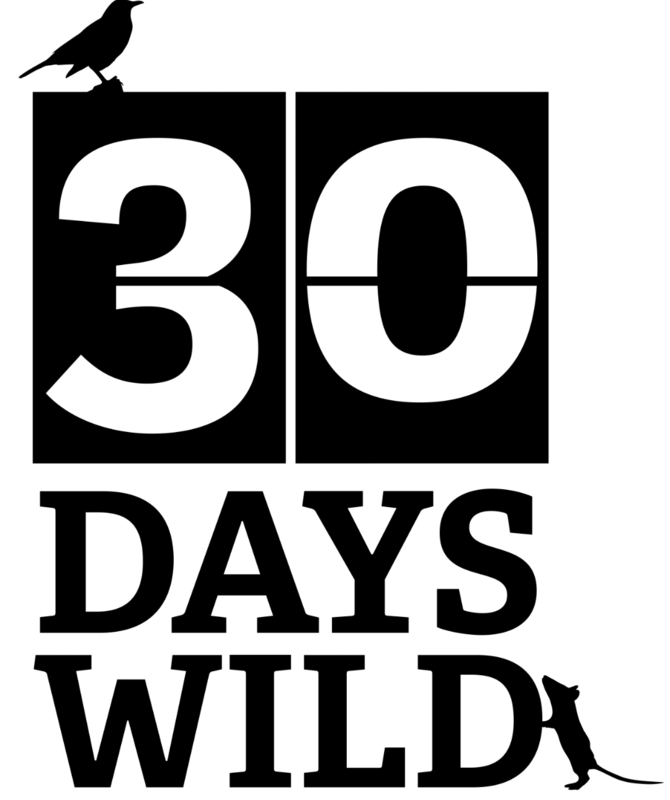 With one day to go before 30 Days Wild officially starts we have been out in the garden this morning preparing for our den/hide build, which is also part of Den Day 29th May – 6th June a campaign to raise funds for Save the Children. 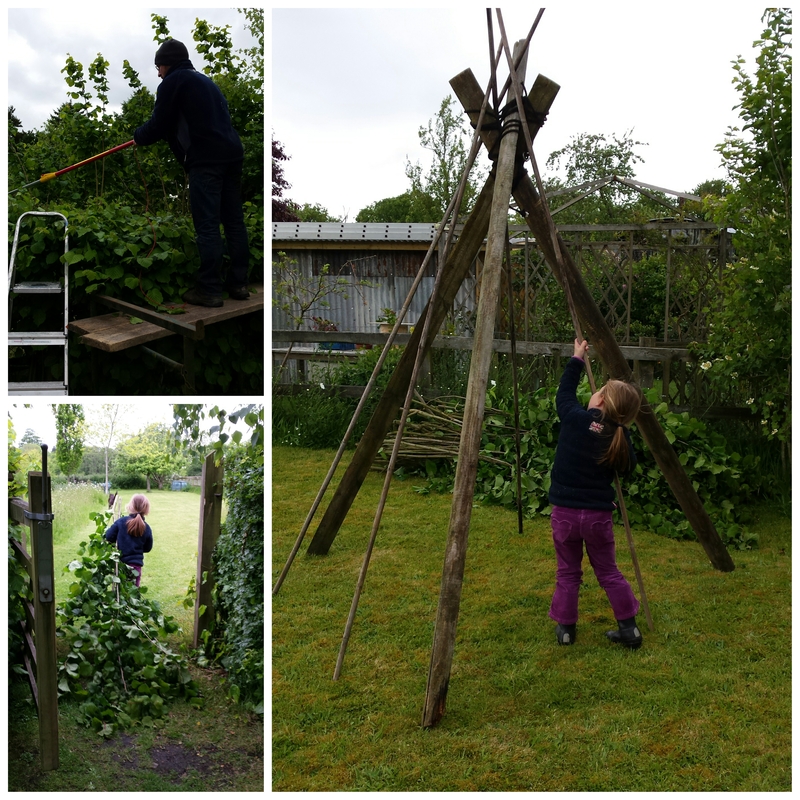 The morning has been a real team effort; mum and dad have been coppicing the poles off the top of the hazel hedge (after carefully checking we wouldn’t be disturbing any nests); Georgia and Hazel have been going back and forth stacking up the hazel poles; and all of us worked together to put up the den frame. All in all a good mornings team work. What a beautiful day it is! 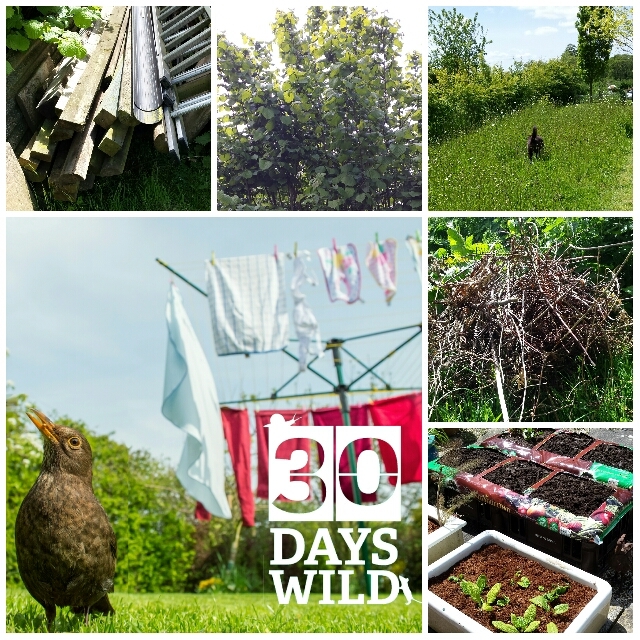 We’ve been out in the garden looking for random wildness ideas for our 30 Days Wild challenge and have flagged some up; adding new bee and butterfly friendly plants to the meadow; growing our own wildlife friendly plants in grow bags; creating bee gardens in old sinks, recycling unused wood into a bug hotel; mini beast hunting in the compost piles; and using the soon to be cut hazel poles to build a den (This we will be doing as part of Den Day 29 May – 6 June to raise funds for Save the Children). Also, dad is planning a camp-out one evening in the garden to watch the swallows and moths, and (hopefully) spot the bats and barn owls. Sitting out in a deck chair (with a glass of wine, of course) on a summers evening watching the swallows (Mig at 2 o’clock!) is one of mums favourite pastimes. 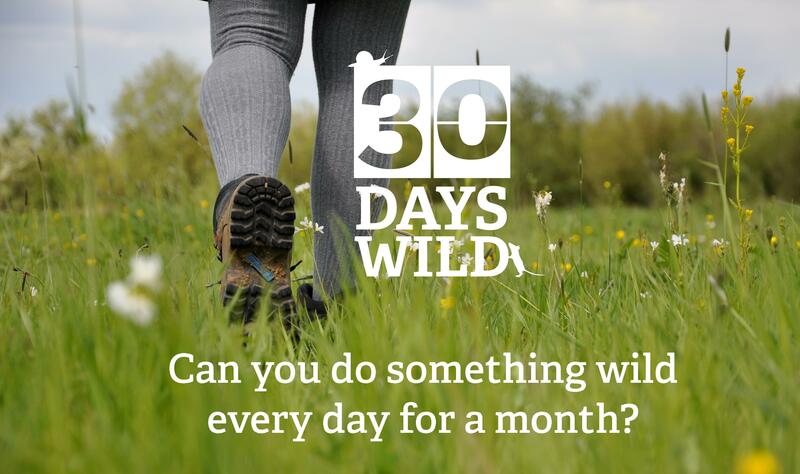 That’s the challenge we have accepted from The Wildlife Trusts; to do a random act of wildness everyday for the month of June, and it’s the inspiration behind our blog. Exciting! 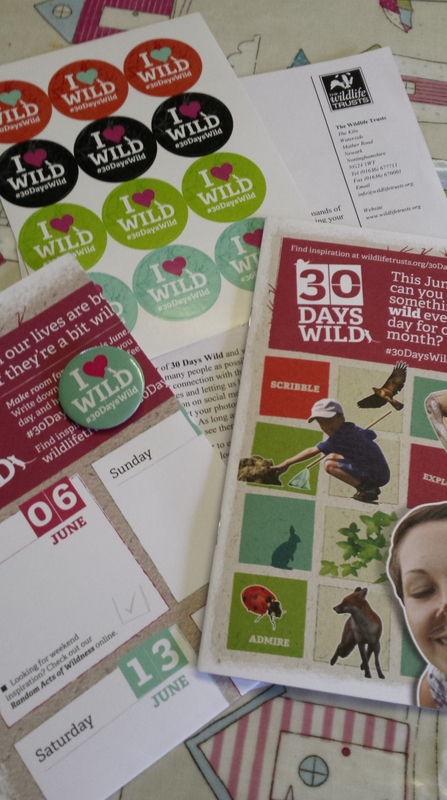 Definitely lots of excitement here now with the arrival of out 30 Days Wild pack. One of us takes particular delight in the stickers and the pin badge, while mums organisation skills start cranking into life!